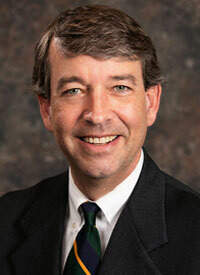 Doug Stansbury joined the firm in 1994. He practices in all areas of litigation, including commercial and residential real estate (including foreclosures), family law, collections, personal injury, and criminal and traffic defense. Attorney Stansbury received a Bachelor of Arts degree from Ohio State University in 1990. He graduated from Marquette University Law School in1994. He is admitted to practice before the circuit and appellate courts of Wisconsin and the United States District Court for the Eastern District. He is a member of the American Bar Association, the State Bar of Wisconsin , and the Ozaukee County Bar Association, of which he is past president. Attorney Stansbury formerly served for many years on the Board of Managers for the Feith Family Ozaukee YMCA and the Greater Milwaukee Foundation/Hiram Schmidt Fund Advisory Committee. Attorney Stansbury is a member of the Grafton Area Chamber of Commerce and has been involved in youth athletics in Cedarburg and Shorewood for many years, where he currently serves on the Little League Board of Directors.